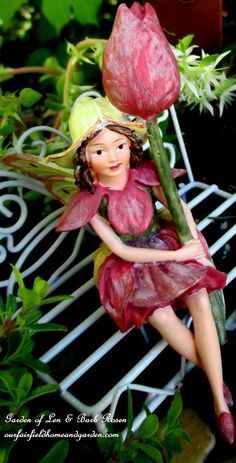 Home » DIY home and garden craft projects » Decorate for Fall Naturally! How do you decorate for Fall without spending a lot of money? Go natural! Find a good farm stand or farmer’s market nearby and purchase just a few select items to mix with your own garden abundance. For these window boxes, I only used one large ornamental Kale, one medium-sized pumpkin, four interesting colorful gourds and materials gathered from our garden! 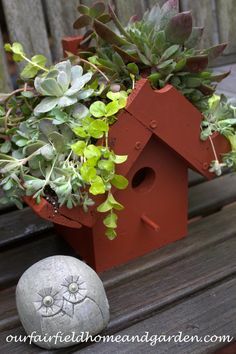 It won’t take long to transform your window boxes with a few natural materials! 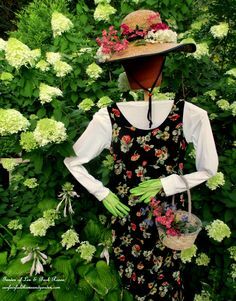 Here’s a good reason not to cut back your Oakleaf and Limelight Hydrangeas too soon! Use their dried blossoms to soften and fill out lovely Fall window box arrangements! 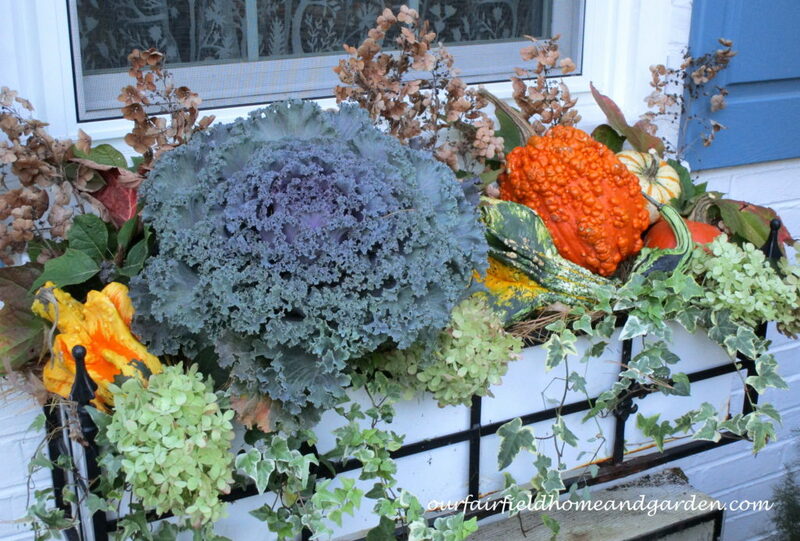 Fall Window Box ~ this fall arrangement will last all fall right through Thanksgiving! 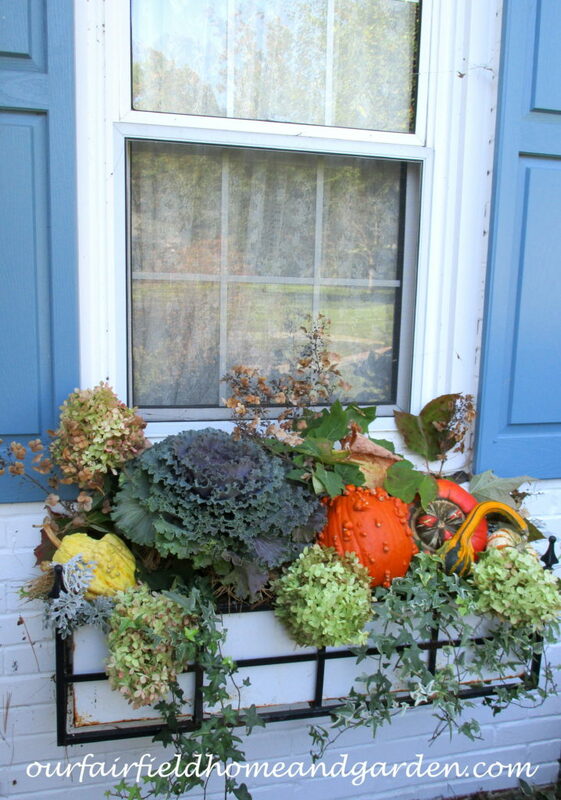 Just one Ornamental Kale and a few pumpkins and gourds for color made this window box say “Autumn Harvest”. Pine needles, Oakleaf Hydrangea and Limelight Hydrangea filled the arrangement in nicely. 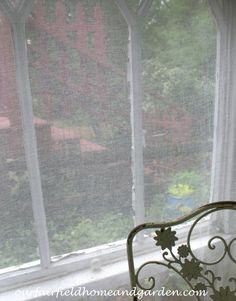 The Needlepoint Ivy grows in the box year round and adds some trailing green accents. 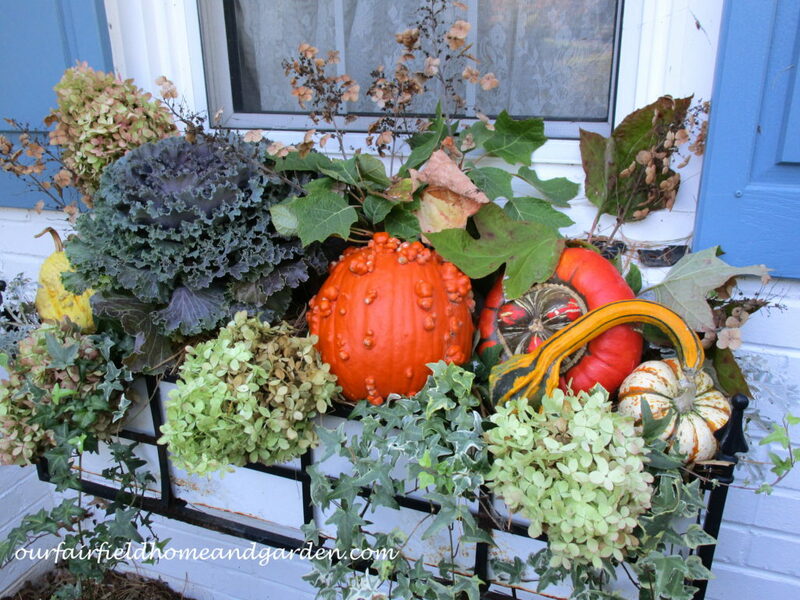 A few bought items and a walk around the garden yield a pretty Fall window box! 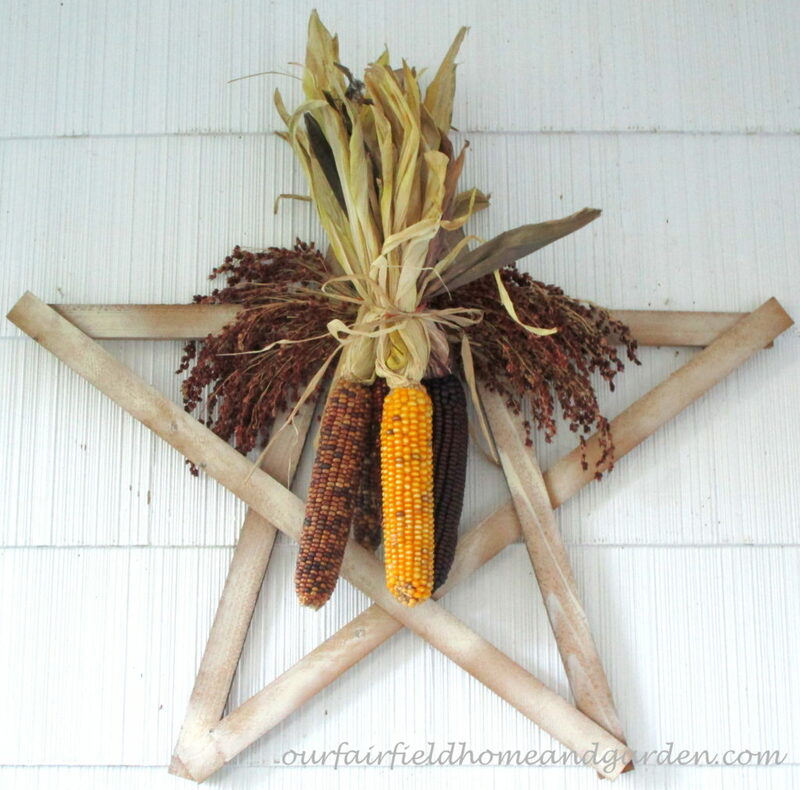 Some Millet and dried Indian Corn looks great tied to a simple wooden star. 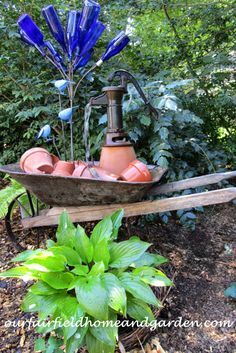 Repurpose the star for other holidays and feed the corn and millet to the birds and squirrels. 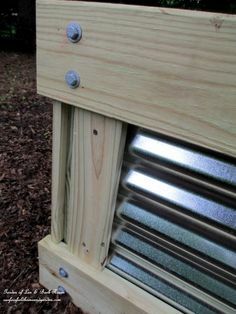 This is on our covered front porch so the critters don’t dine on it until I’m ready! Our Bike Planter’s summer flowers were petered out so, out they came! Dried Hydrangea blooms from the garden and colorful gourds took their place. 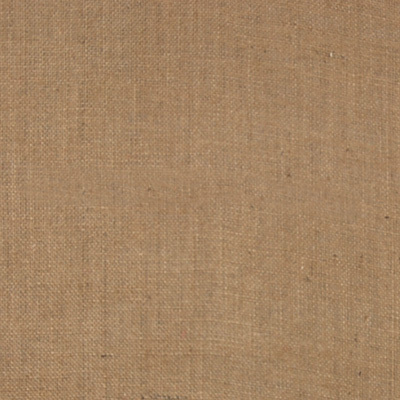 Who says Fall decor has to be all yellows, oranges and browns? 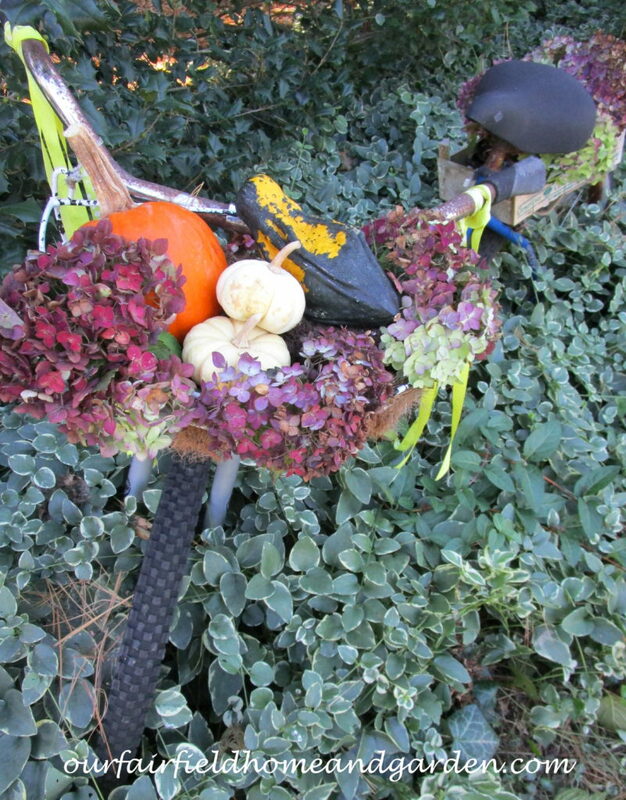 Bike Planter with dried hydrangeas and gourds! Add Halloween accents in and then switch them out for Thanksgiving! 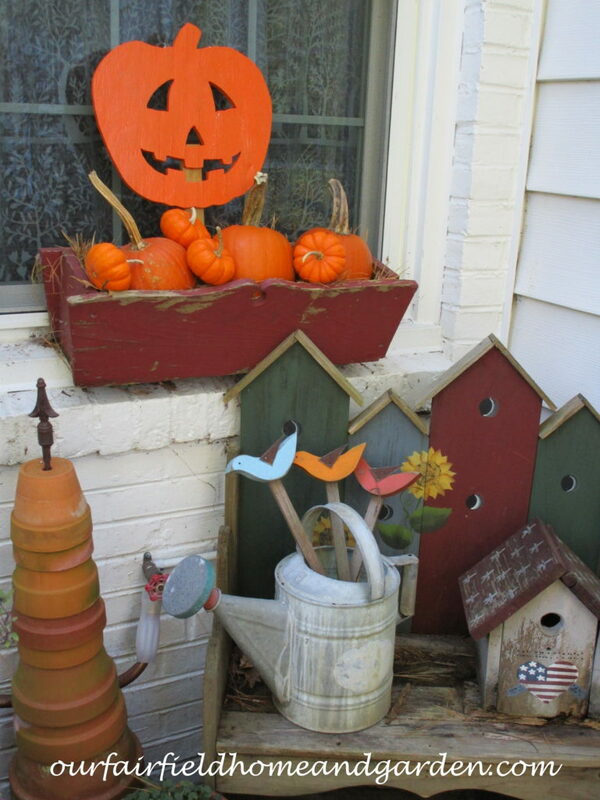 This kitchen window box is all orange ~ pumpkins, gourds and painted Jack O’Lantern, too! Go Orange!! Just small pumpkins and gourdsand a painted Jack O’Lantern! I love all your fall vignettes, especially the window box. Thanks very much, Joanna!I just love doing some Fall arrangements in our window boxes!